Twitter shares spiked by as much as 5% in pre-market trading Monday following news that Microsoft is buying LinkedIn for $26.2 billion. After a relatively quiet year for M&A activity across the market, and especially in Silicon Valley, the news is a sign that dealmaking is picking up again. 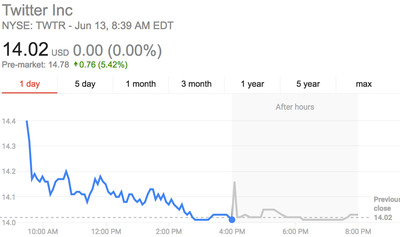 And as a possible acquisition target, this is presumably good news for Twitter. The social network has struggled to gain traction and grow the number of active monthly users. Shares of Facebook and Yelp jumped as well. 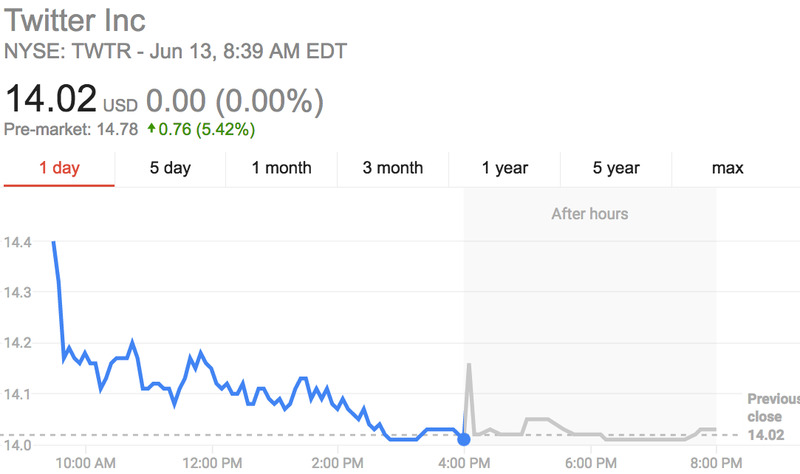 LinkedIn rocketed 48% on the news. Salesforce shares fell about 2.5%.